I have had several requests for a Scottish Cozy Mystery theme, and I have finally put it together. Donald Bain: The Highland Fling Murders – Jessica Fletcher and some of her Cabot Cove friends visit a Scottish castle. D.B. Barton: Singing Sleuth Mystery Series – Alec DunBarton is a Scottish band auditor and cruise ship employee. M.C. Beaton (aka Marion Chesney): Hamish Macbeth Mystery Series – Hamish is the local constable in Lochdubh, Scotland. Rhys Bowen: Royal Spyness Mystery Series – Lady Georgiana, although not rich, is still the 34th in line to the British throne! C.S. Challinor: Rex Graves Mystery Series – Rex Graves is a Scottish barrister. Kaitlyn Dunnett (aka Kathy Lynn Emerson): Liss MacCrimmon Mystery Series – Liss MacCrimmon is a Scottish troupe dancer, who lives in Maine. Amanda Flower (aka Isabella Alan): Magic Garden Mystery Series – Fiona is a florist who is from the USA. Molly MacRae: The Highland Bookshop Mystery Series stars the co-owner of a book store in Scotland. Sharyn McCrumb: Elizabeth MacPherson Mystery Series – Elizabeth, a forensic anthropologist, loves her Scottish fiancé and everything else that has to do with Scotland. Catriona McPherson: Dandy Gilver Mystery Series – Dandy (short of Dandelion Dahlia) is a wealthy sleuth who lives in Scotland during the 1920s. Melinda Mullet: Whisky Business Mystery Series – Abi Logan is a Scottish photojournalist. Hannah Reed (aka Deb Baker): Scottish Highlands Mystery Series – Eden Elliott is a recently single author living in the Scottish Highlands. Paige Shelton: Scottish Bookshop Mystery Series – Delaney Nichols has moved to Scotland from Kansas and works at a rare book/manuscript shop in Edinburgh. Please leave a comment if you know of a Cozy Mystery author who I don’t have on the list, but who belongs on it >>> or if you have any comments. What about Cecilia Peartree’s Pitkirtly Mysteries? Janet, thanks for telling us about Cecilia Peartree. I just found this series at my library and I’m not sure if you’d consider it a cozy: the Lady Darby Mystery series by Anna Lee Huber. They’re set in Edinburgh during the early 1800s. Teresa, thank you. 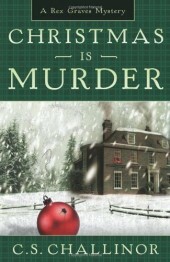 I just added Anna Lee Huber’s Lady Darby Mystery Series to the Scottish Cozy Mystery theme. Love Scotland, love books that take place in Scotland. (Went there last summer and fell in love–not with a brawny Highlander, since I’m married and have been for 39 years–but with the land and the history.) Thanks so much for the list! You’re terrific! Hi. I love Scottish mysteries. Two more applicable series came to mind. One is the Elizabeth MacPherson series by Sharon McCrumb, one of her older series, but very cozy. Elizabeth I’d a forensic anthropologist, and devoted to all things Scottish. Including her fiancé. Very enjoyable series, a bit in the style of Charlotte Macleod. The other series I thought of is more recent, by Rhys Bowen, her Royal series, starring Lady Georgiana, 32nd in line to the British crown. Georgina’s family, while now impoverished, still has their ancestral home in Scotland, and several of the books are set there. These are a real hoot! Also classify under historical mysteries, as they are set just after WW1. Mary G, I just read one of Rhys Bowen’s Lady Georgiana mysteries about three months ago. You would think I’d be able to remember this! Thank you! Thanks to Danna! We can all read cozies to our Celtic hearts content. I’m copying down the authors names so I can reference to it later. I knew, Danna that you would have that literally at your fingertips! What a blog mistress! We are all fortunate and blessed that you are leading our pack! I’ve read a lot of M. C. Beaton’s and Rhys Bowen’s aforementioned series and have thoroughly enjoyed them. Upon looking at your list and other comments, I definitely have some more authors to check out! Thanks for your great site – I get a lot of new to me authors to discover and read! 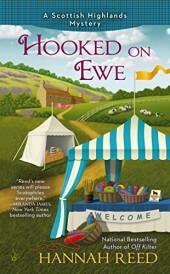 I just finished the second Hannah Reed book featuring Eden Elliot. Very fun and you really get to know the other people in the town. Can’t wait for the next one! I think Ian Rankin’s series about Inspector John Rebus ought to be on your list. Hello. Hmmm, I think I have to disagree with john about that Ian rankin series belonging on a cozy book list. Don’t get me wrong, I love rankin’s books, but they are pretty dark. But if anyone wants to go to that darker side of Scotland (and the mystery genre in general), then I would have to recommend Peter May’s chessman series, which are centred around the wild isles of Orkney. But don’t say you weren’t warned. Peter May’s Scottish books take place in the Gaelic-speaking Outer Hebrides, mostly on the island of Lewis/Harris, not Orkney. I agree with you that, good as they are, they do not belong in a list of cozy mysteries. Peter May’s books ( not particularly cosy) are set on the Isle of Lewis, not the Orkney Islands. Gerald Hammond wrote several series that take place in Scotland. There are a bunch of mystery series set in Scotland that feature police officers, but they aren’t exactly cozy. Dragons3, thank you for telling us about all of these Scottish series! The very best Scotland mysteries are br Anne Cleeves, Shetland series. Diana, thanks for the Shetland tip! I’ll add them to the list. Hi. I just noticed the comment about the Scottish mysteries by Ann Cleeves. I totally have to agree. And even better are the BBC tv series called Vera, based on the books. Just an FYI thing. I also love MC Beaton….don’t forget her Agatha Raisin character oops guess that is England. Went down the Isle not up. But also, in Wales is the Evan’s Series by Rhys Bowen. PS I really love this site you have created.! Kit, I’m so glad you are enjoying my Cozy-Mystery site. Rochelle, thank you. I don’t know why I didn’t think of this book! The Mulgray Twins write a sries of mysteries based in Scotland and sometimes the main character Deborah Smith, an officer with the Customs and Exise Dept goes to Other European countries. Her sidekick is a sniffer cat. Lots of fun. Jane, thank you for telling us about the Mulgray Twins‘ Scotland based mysteries. On second thought, maybe they weren’t included because there are a fair amount of “intimate moments” in the first book due to the fact that 2 characters are newlyweds. I suppose it depends on whether or not people consider that to qualify as part of the cozy book genre. RainbowOwl, thanks for adding that clarification. RainbowOwl, thanks for suggesting The Outlander. Many years ago I read part of a series that I would love to find again, but cannot remember title or author. It had to do with a middle aged American woman tourist in Scotland, a middle aged Scottish Investigator, and their budding romance while solving mysteries. It was cozy, wholesome, and fun. Nothing on the list rings a bell, but I could be missing it. Any ideas anyone? Cindy, I’m not sure I’ve read that one. Hopefully someone else in the comments can come up with an answer! I believe it’s the series by Lillian Stewart Carl . Jean Fairbairn and Inspector Alasdair Cameron mysteries. The Highland Fling Murders by Donald Bain and Jessica Fletcher isn’t a series, but your description is spot on with the plot of this book.